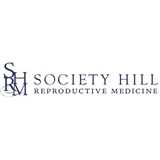 Society Hill Reproductive Medicine (Philadelphia) - Book Appointment Online! At Society Hill Reproductive Medicine, we offer a comprehensive range of health services for women in a highly personalized setting. Through our focus on Reproductive Endocrinology and Infertility, we are able to support women and their health in all stages of life. Our practice also strongly believes in the importance of taking care of the mind, body, and spirit, and therefore we offer wellness therapies on-site such as massage, acupuncture, and nutrition counseling. Maureen Kelly is amazing! As a young woman, i have so often felt judged, disregarded and uncomfortable at the gyn. Maureen had amazing bedside manner, she was SUPER awesome about making sure the check up was as comfortable as possible. She answered all questions and took all my concerns seriously. 5 stars for sure. Wonderful visits, never disappointed. Nicole is very attentive and caring. She takes her time actively listening and explaining the process every step of the way. Extremely happy with my visits.